One key ingredient in running a successful bed-and-breakfast is the ability to get along with all types of people who will be staying at your inn. 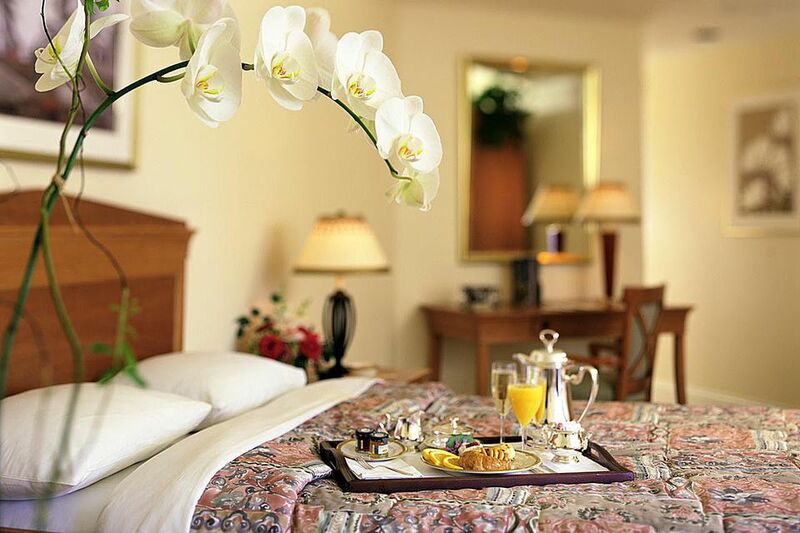 When you operate a bed-and-breakfast, you become the host (not an owner) who greets and welcomes guests (not clients). Hospitality is your business. A successful bed-and-breakfast operation builds its reputation on the hospitality it provides. Repeat business and referrals often come as a result of your interactions with the guests. Guests who frequent bed-and-breakfasts usually seek the enjoyment of getting to know their hosts and sometimes develop close friendships with them. Bed-and-breakfast hosts can use these tips to increase their guests' satisfaction levels. Show guests to their room, and give them an opportunity to settle in. Offer to carry their luggage. If they feel up to it, you may want to give guests a quick tour of your home soon after they arrive. Offer a beverage and/or a light snack after guests have had some time to settle down from their trip. Place a special guest "welcome tray" in each room that can include fruit, cookies, or candy. Provide disposable drinking cups in each room as well as tissues, etc. Be able to provide your guests with a local map. Mark your home, restaurants, and other attractions on the map. Collect discount coupons from local restaurants, fast food chains, and other attractions for your guests' use. Offer "special touches" that will appeal to a variety of guests, such as offering breakfast in bed for newlyweds or for special occasions. Be sure to provide a variety of beverages so that guests can choose from a good selection. Coffee should be of the best quality—never instant! Experiment with different blends. Offer—for an extra fee—to make special picnic baskets for lunch or dinner so that guest may enjoy a special outdoor location. Be sure to look into your local food service regulations. Provide a local newspaper, as well as one with large circulation such as USA Today. Make sure guests know that they should ask if there is something they need—extra towels, more pillows, iron, and ironing board, etc. Provide an umbrella stand with loan umbrellas near the door for guests who aren't prepared for bad weather. Have extra sample-size toilet articles on hand for your guests, such as shampoo, hand lotion, toothbrushes, razors, and toothpaste. You can order a supply of many such items imprinted with your logo to promote your bed-and-breakfast. Use liquid soap or small, individually wrapped soaps in the bathroom so no guest has to use someone else's soap. Keep an extra hair dryer, make-up mirror, curling iron, iron, and ironing board available for guest use. Set up a special corner in your public lounge area with a variety of games, cards, books, and magazines. Provide a variety of reading material in each room. If you have a historic inn, your guests may want to know more about it. Keep a scrapbook of pictures and documents detailing the history and/or renovations and restoration of the inn. This can be placed in a public area or duplicated and placed in each room. Leave a notecard or flyer telling guests where they can order a pizza if they wish. Let your guests know if it's all right to eat in their room or on your deck or patio. Some hosts put together a collection of recipes to share with guests. You'll need to decide whether or not to charge for this. If guests want to get to know you better, do so. You are a unique individual— your way of life, your home, and your town all make the visit very special to your guests. Remember that word of mouth is one of the best ways to attract more guests and repeat visitors, so make a positive impression.